BET awards organizers have announced that Nigerian duo Tiwa Savage and Ice Prince will perform in this year’s award scheduled to hold on the 29th of June live at the Nokia Theater in Los Angeles. This would be a welcome back for Ice Prince after he won last year’s BET Best International act Africa after failing to win two years back, Meanwhile this is Tiwa’s first nomination. Also scheduled to perform are South African duo Mafikizolo and Ghanaian hip hop artist Sarkodie will perform too with their Nigerian counterparts. Tiwa, Sarkodie and Mafikizolo where nominated for the BET Best International act Africa 2014 and their perfomance has been tagged as “Music Around the Globe” presentation on Saturday 28 June. 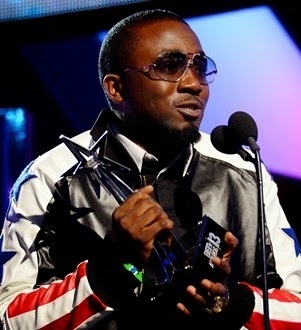 Daily trust reports that the Organizers have billed Ice Prince to present this year’s award for ‘Best African Act’. The award will be held at the Nokia Theatre Los Angeles come Friday June 27-29th, and the main night will be the 29th. Chris Rock will host this years award, He was revealed as the host on May 14 during the network’s 106 & Park music video countdown show. Stay tuned as we bring you more!